Can social media get a positive return on investment (ROI) for the restaurant? YES, social media can produce a healthy ROI. As any form of marketing, it depends on many factors. The most important factor is the target audience we are trying to reach, engage with and ultimately turn them to dining customers. In this article, we will talk about social media marketing that makes the most sense for the restaurant and how to maximize effectiveness so that we can realize a positive ROI from our efforts. Simply put, social media ROI is what the business is getting in return from the investment in the form of money and time put into social media marketing. What is easy to measure is the money that we put in. Most often the time invested in social media goes unaccounted for. Later in this article, we will discuss how to determine the value for your time in addition to money and other resources. First, we need to determine who the ideal audience is that we are trying to reach and engage. This works for both the scenarios, the current loyal audience that we are trying to engage to drive repeat visits or an entirely new segment we are trying to reach. Maybe you are a pizzeria wanting to appeal to a younger crowd, or you’re a fine dining restaurant wanting to send a different kind of message to families or elderly audience. Once we are clear on the audience we are targeting, comes the next step of finding the social media platforms they “live” on, Facebook, Twitter, YouTube, Instagram, Pinterest, Google+ or other platforms out there. Generally, younger people tend to hang out on social media. Yet social media platforms attracting the mature crowd as well. But social media sites like Instagram and twitter have a larger base of young users, keep this in mind while developing your social media marketing plan. If you speak to the wrong audience or speak on the wrong platform, social media marketing much like any form of marketing will be a waste of time. Trying to increase engagement on social media will seem harder and frustrating. Another key factor to ensure success with social media marketing is to clearly determine whose responsibility it is to manage the social media marketing for the restaurant. The person needs to be a committed individual who is knowledgeable about the restaurant. Further, they need to have the skills to articulate their thoughts clearly in writing. Finally, they need to be accountable for ensuring the success of social media campaigns. It is important to note here that without the right person or leaving the social media marketing with people in the restaurant who have other primary responsibilities decreases the chances of getting any ROI from social media marketing. At the end of the day, we want to use social media not just as something cool people can share around but as a marketing tool to grow the business. So in order to do that, number one we need to target the right audience on the right platform, and number two, finding the right person for the job and then finally much like all aspects of business and marketing we need to know and make the numbers work to ensure a positive ROI. First of all, we need to understand that just a percentage of the people who follow you on social media will actually buy from you but in order for you to know what that percentage is and how to grow it, you need to always track your results. – Redeemable coupons or promos the user has to print out or show on their phone. Talking strictly about the online aspect now, because online you can’t see peoples faces or talk to them as they leave, how do you determine the best course of action? To track your conversions online and be able to measure the numbers we discussed earlier you need to have a Tracking service in place. Run every link you share on social media through the tracker and install a “tracking pixel” on your website to monitor activity on it. With this, you will be able to see what ads get clicked on the most, how many people actually order or reserve tables and how many people end up leaving. With this data, you can see if you need to do more of the same or change your strategy to increase your percentages, at the end of the day online marketing is all about split testing. So make sure you know your numbers so you can get the most social media ROI. Another super important number to track is the lifetime value of your customer. If you know the average check per table in your business is, for example, $200 and they tend to come back 3 times on average every 3 months and it costs you $20 to acquire that customer then your customer is worth $580! Of course, this is before food and labor costs. But you can see that much like placing a price on a dish marketing and particularly social media marketing needs to always make sense to your business on the money side to make sure you get a healthy ROI. Since social media marketing is more effective when you’re in multiple channels, it’s important to be aware of how each of the platforms is performing you may be having some platforms drain your marketing budget by underperforming. For example, if your Facebook page gets a ton engagement but your audience isn’t responding in the same way to Twitter you may want to consider focusing your attention more on Facebook and cut out Twitter so you don’t keep wasting time and money. Figure out what your audience responds to best and do more of that. Once again it all needs to make sense from the business stand point. Factor in what you’re spending on marketing to acquire customers, then divide that by the number of customers who were actually generated through your social media marketing. Then factor in how much money do those customers represent and subtract your marketing, food and labor costs and you have got your ROI. If you are not spending money on ads or social media experts you should then factor in the hours you or your employees devote to social media and how much does it cost you. You should be able to determine a number from the numbers of hours spent and multiplying it with an average hourly rate. 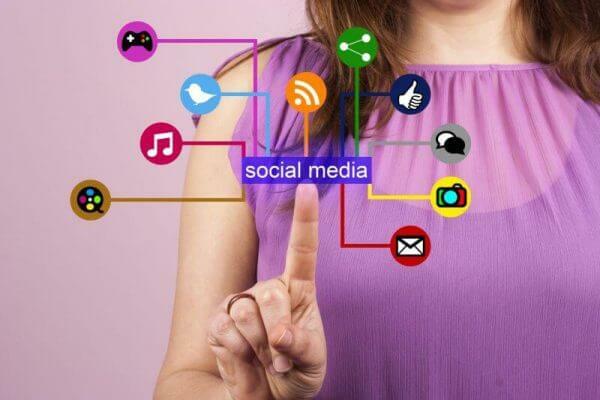 If you are using a social media marketing service, it’s easier to figure out the costs. Once you calculate your social media ROI you need to figure out which streams are performing better and optimize them so you can increase your numbers. Social media is all about generating a conversation, if you can get people engaged in conversation or give people content they feel like they need to share with others you will be able to increase your ROI with ease. If you feel it’s not converting as well as you would hope, it’s time to change your messaging. Compare your social media ROI to other channels in your restaurant marketing mix such as direct mail, email marketing, and advertising and determine if your social media needs optimizing or not. Learn how to increase engagement on Facebook. Read article on "7 ways to increase facebook engagement for restaurants"
When it comes to social media you need to give value, value, value and then a pitch. If all you post all day are pitches such as lunch specials, offers, and new dishes promotions, people will soon stop responding to your posts and your social media efforts will produce diminishing returns. People want to be either informed or entertained. If you can keep people informed and entertained you will always succeed. A good rule of thumb is to always make your posts 80% value through engaging content and 20% pitches. Also, don’t do the opposite and give all value and never ask for the sale, you might get a lot of fans that way but you won’t drive any revenues. Tell us how your social media efforts are working. Share in the comments below how you specially measured your social media ROI.